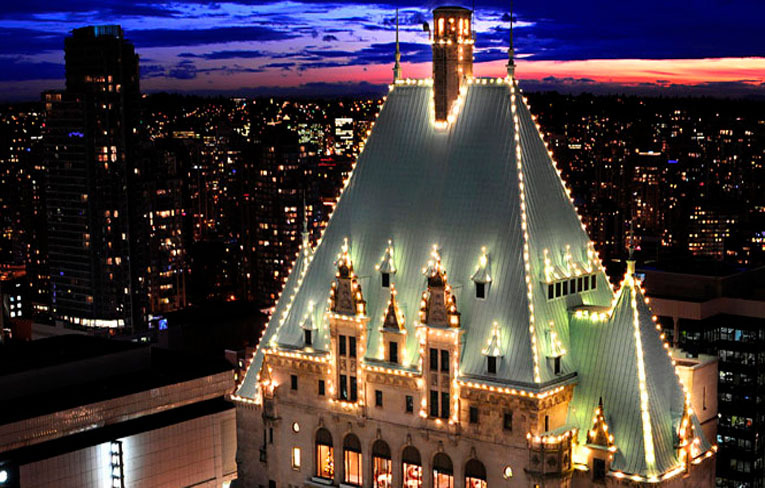 The Fairmont Hotel Vancouver, a 'Castle in the City', is a landmark hotel in downtown Vancouver. Located just steps from Vancouver's business, shopping and entertainment district, it is the perfect place to explore Vancouver's spectacular scenery. The Fairmont Hotel Vancouver, a 'Castle in the City', is a landmark hotel in downtown Vancouver. Located just steps from Vancouver's business, shopping and entertainment district, it is the perfect place to explore Vancouver's spectacular scenery and vibrant lifestyle. 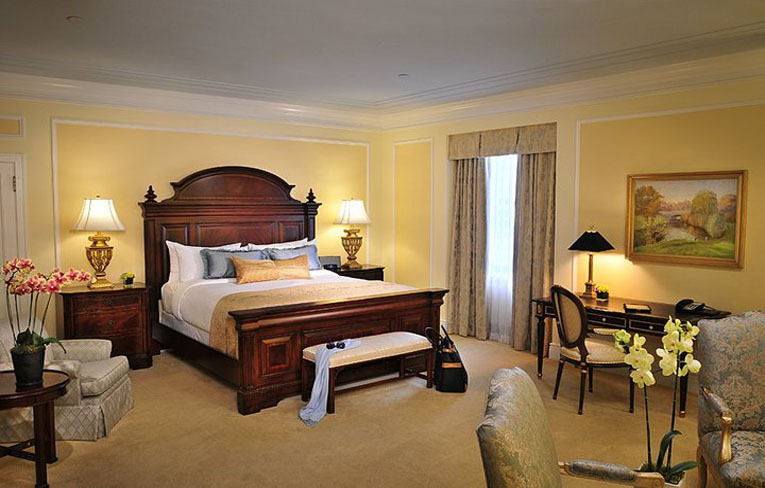 Each of the hotel's 556 Vancouver, BC accommodations offers the luxury and services of a world-class hotel with the elegance and charm of an English castle. 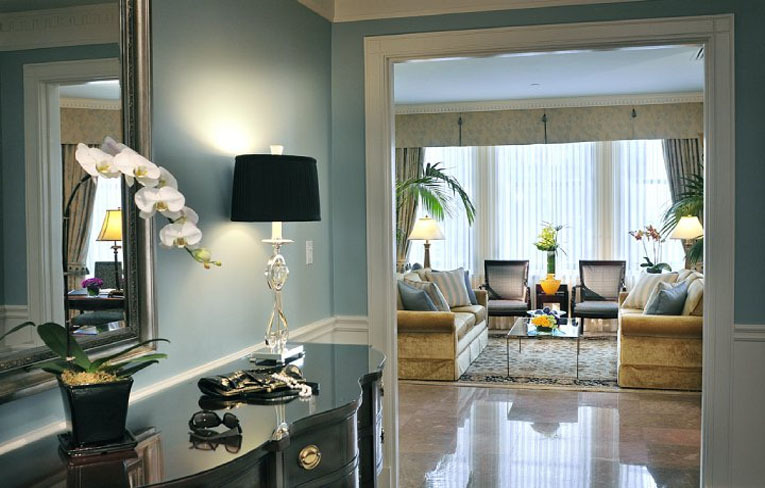 Subtly included in every room are all the modern conveniences for business and leisure travelers alike. 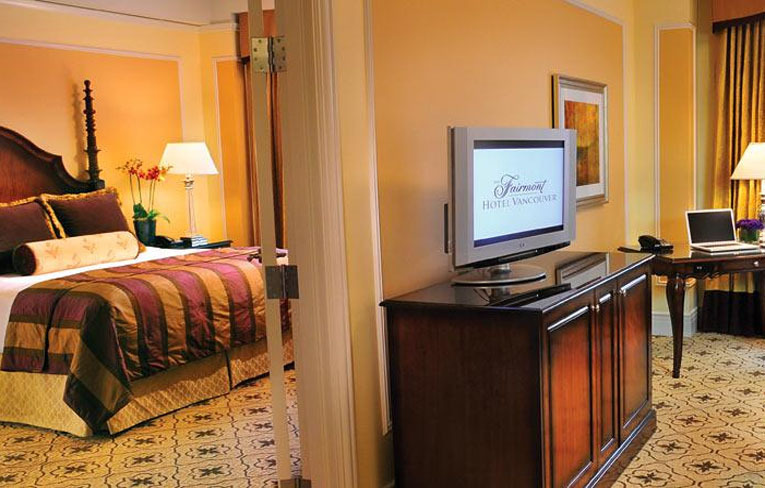 Spacious and comfortable rooms include wireless Internet connection, complimentary for Fairmont President's Club members. A shopping destination on its own, the hotel lobby features designer shops, including the flagship Louis Vuitton boutique, Gucci and more. Arts and culture are steps away at the Vancouver Art Gallery. Take a moment to re-energize at the Health Club, located on the second floor of The Fairmont Hotel Vancouver. The extensive Fitness Centre which was renovated in early 2010 is accessible 24 hours a day, seven days a week. Guests have complimentary, unlimited use of the state-of-the-art health club facilities. 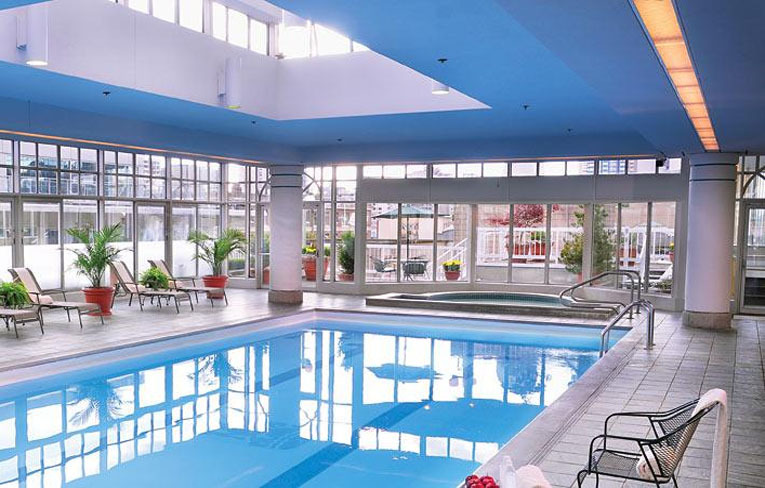 Enjoy a swim in the indoor heated pool encased in soaring glass panels. 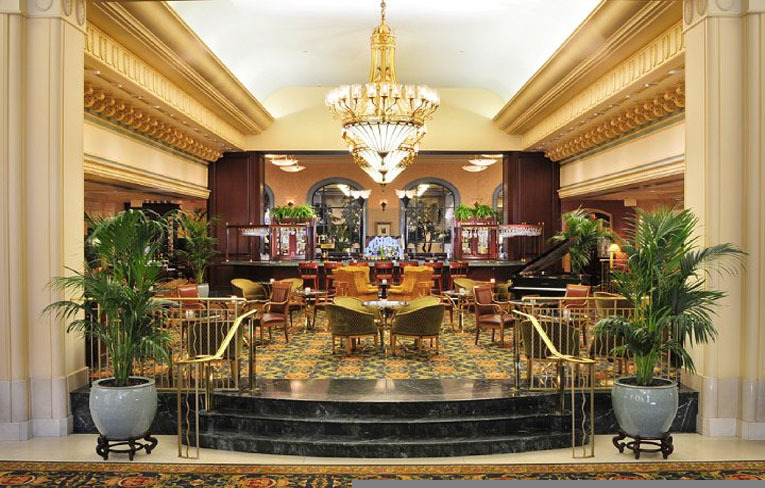 The Fairmont Hotel Vancouver welcomes you to the 900 West Lounge. 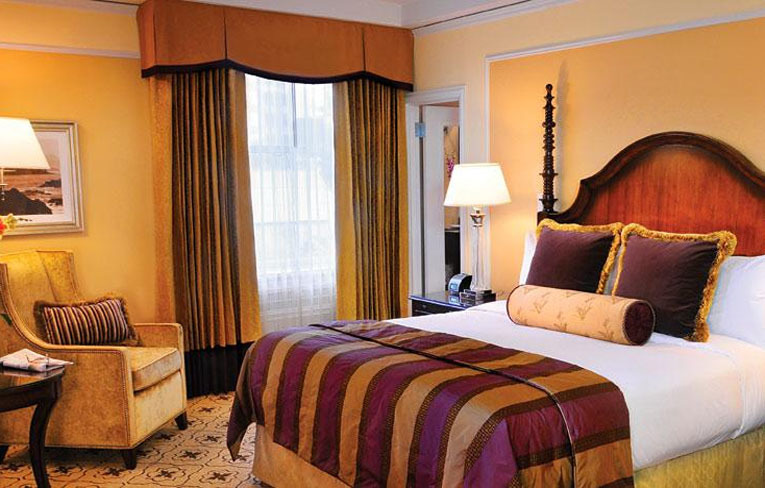 Relax in the soft wingback chairs, admire beautiful architecture and enjoy the sultry sounds of live jazz entertainment. 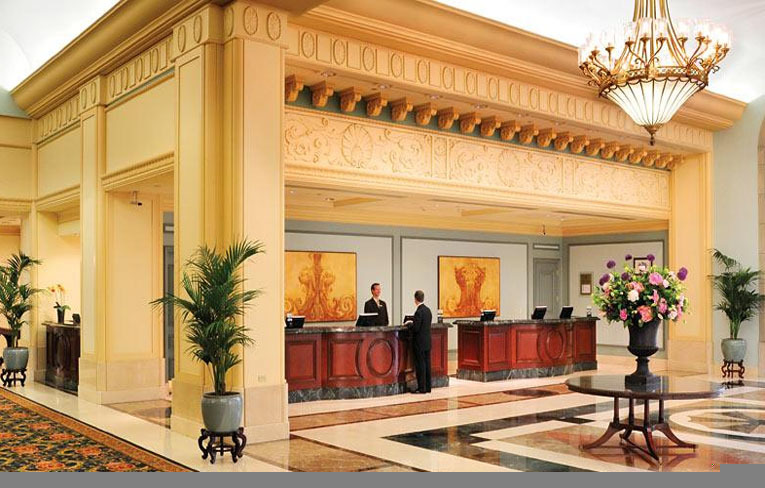 The Fairmont Hotel Vancouver is the city's most respected venue for business and social events. 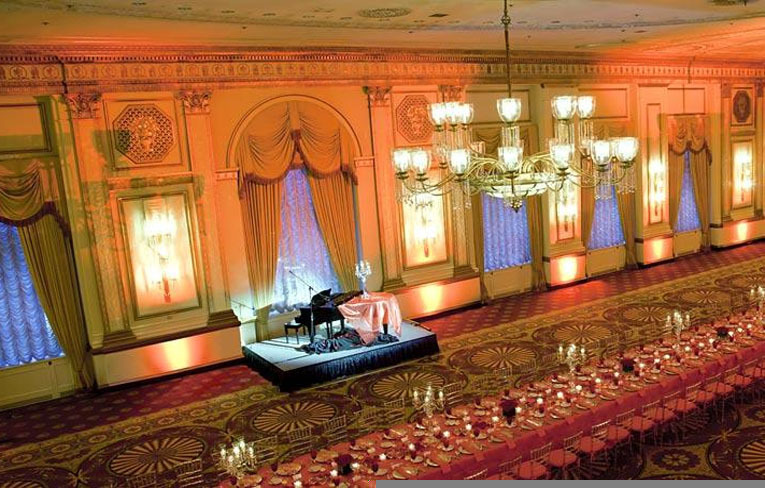 Its two grand ballrooms and 16 functional meeting rooms with 55,000 square feet of event space reflect the timeless luxury of Canada's icon hotels. Situated in the heart of downtown, the distinctive Vancouver venues offer the perfect destination for flawless meetings in a luxurious landmark location.